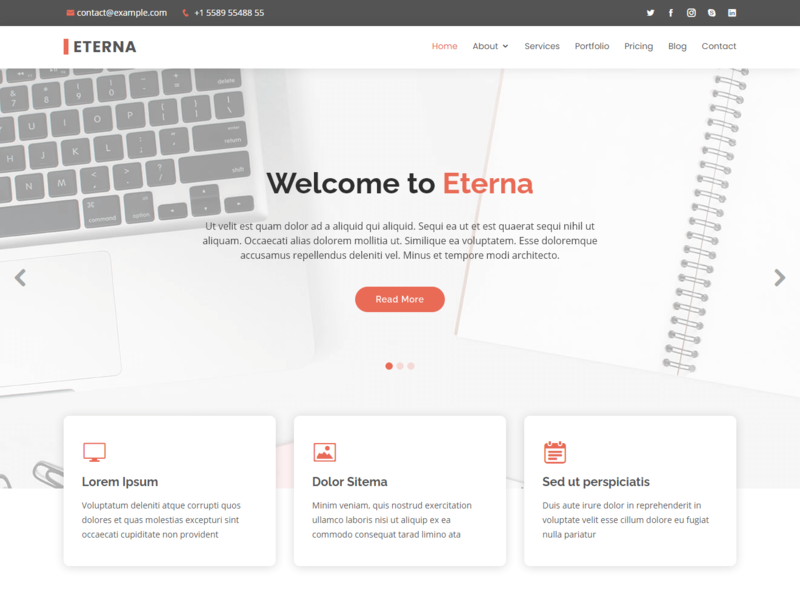 Eterna is an awesome responsive bootstrap website template professionally designed for any kind websites. Eterna is coded carefully, all template files are organized and well structured so it’s very customizable and developer/newbie friendly. This template comes with 5 predefined accent colors that separated in single css file for each skin/color for easiest understanding, Switch between boxed & stretched layout in seconds, Unlimited color possibility, Rearrange template elements easily without breaking the layout.